After all, autumn Sundays across America are game day! And no matter their favorite team, everyone attending sessions and sharing their knowledge this day was truly a titan in Tennessee. 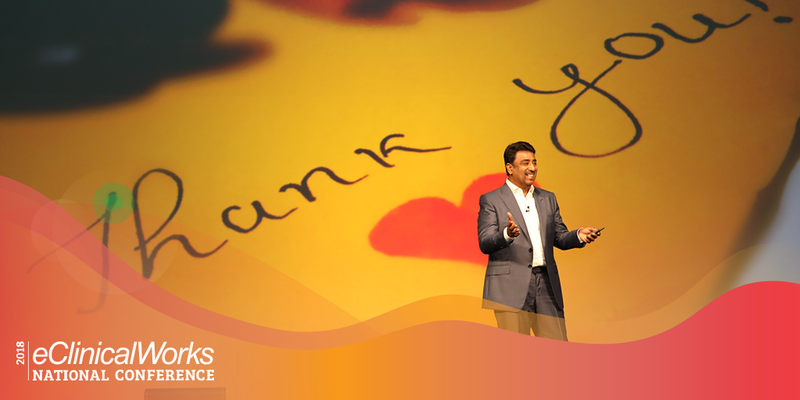 For three days, each of the more than 5,000 attendees at our 11th annual National Conference has contributed to our collective effort to keep learning, growing, and realizing the promises of the healthcare future. As happens each year, in addition to the thousands of hours of education and innovation, we have a little fun. During this year’s Prenote to the Keynote, a couple of our on-camera guests — Dr. Duke Carlson and Dr. Prasanthi Reddy ­– bravely agreed to play “name that tune” and “heads up,” and won applause for their game efforts! The learning that takes place throughout the weekend of the National Conference is also reinforced by a lot of fun during the always spirited Saturday Night Celebration. 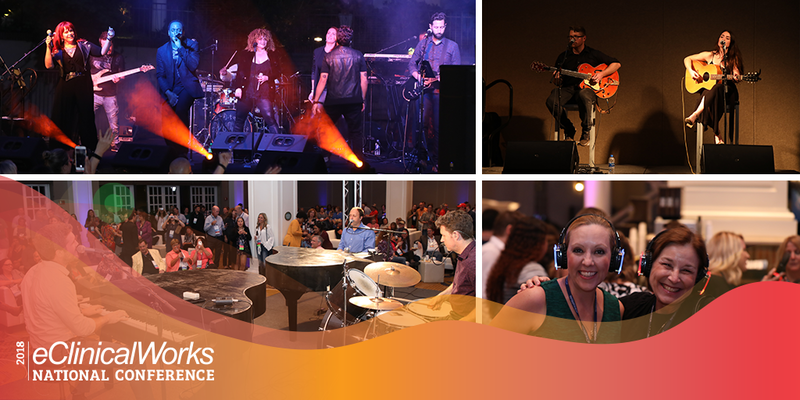 eClinicalWorks employees and customers mixed throughout the Delta Island and Delta Ballroom lobbies on Saturday, enjoying food, music, and conversation — and the trendy silent disco! All that fun has a serious purpose, for it reminds us that we are one eClinicalWorks family with common interests that run the full range of healthcare and healthcare IT. 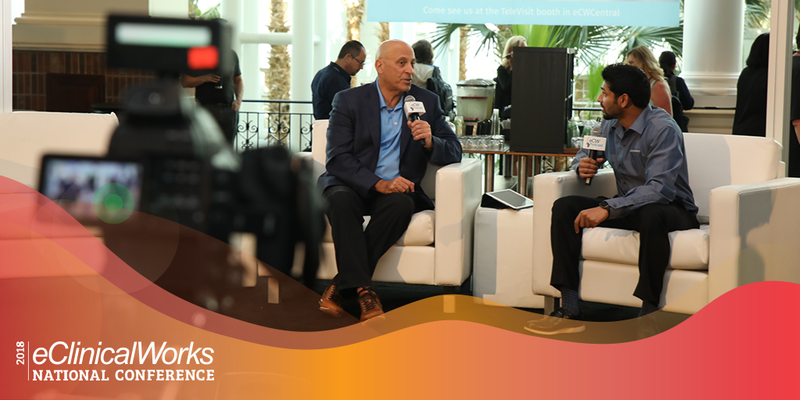 Some, like those outlined by CEO and cofounder Girish Navani at Friday’s Keynote, are big-picture stuff related to creating networks, thinking about the future, and pushing the industry in new directions. Others are very granular and equally impactful. • How providers using eClinicalWorks V11 can now clear notes or addendums that they may have added in error to a patient’s record. • How to automatically send locked Progress Notes to a patient’s primary care or referring physician. • And how you can drop ICD codes related to immunizations into the assessment section of a patient’s Progress Note, saving four clicks every time! 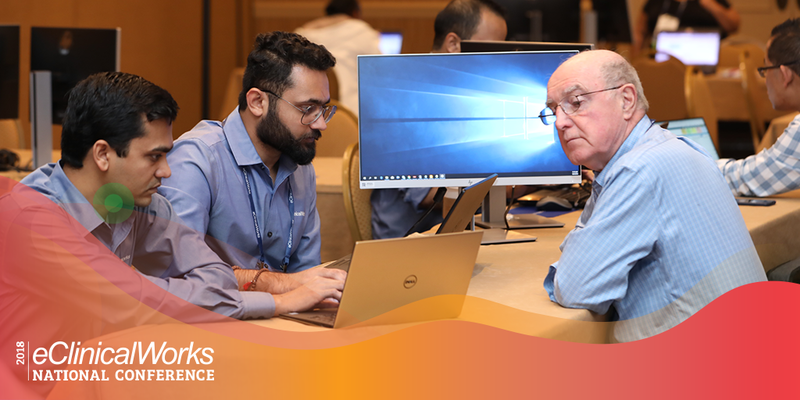 Another measure of the seriousness of eClinicalWorks customers could be seen at the Hands-On Training registration desk, where even at midday there was a line for those eager to take advantage of the Conference’s final few one-on-one training opportunities. 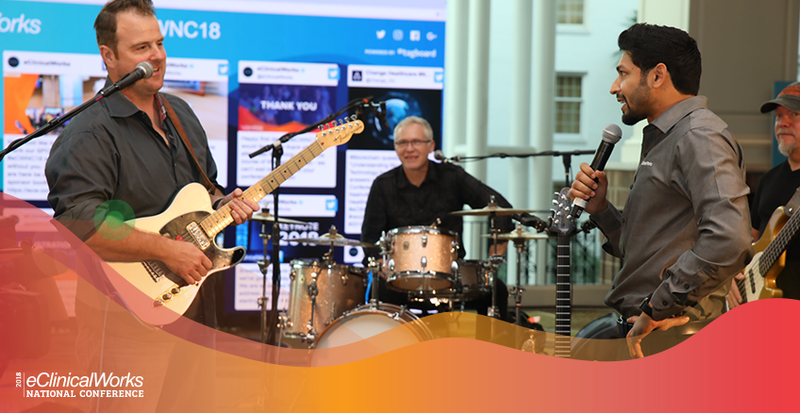 When they arrived in Nashville late last week, thousands of healthcare professionals — whether veteran or new customers of eClinicalWorks — had a particular image and certain amount of knowledge about us. They will leave Nashville with what we believe is a still more compelling image of their healthcare IT provider, and a whole lot more knowledge! Our 2018 National Conference, after all — and this list is far from complete — unveiled a partnership with Care UK, announced integration with CMS’ Blue Button 2.0 API, introduced the Prizma health information search engine, took the wraps off dozens of enhancements to the core EHR, and demonstrated the rapidly expanding functionalities of telemedicine to bring providers and patients into closer collaboration than ever before. 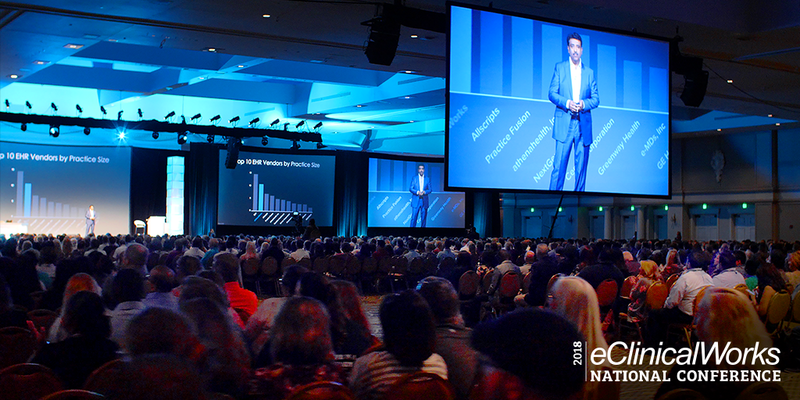 Each eClinicalWorks National Conference brings innovation and inspiration. Each has the power to provide the spark that will transform your practice. Thank you for spending this time with us in Nashville. We hope to see you in Orlando, October 18-20, 2019, for our 12th annual National Conference.